Today, I’m working on how to cool air, move air for cooling and condition air without using traditional expensive air conditioning systems or how to use the traditional systems with non-traditional alternative energy systems to power them. Scientists have discovered that New York City is a “prime location for exploiting high-altitude winds.” In fact, a recent study by the Carnegie Institution and California State University found that globally, high-altitude winds like those over New York City could together meet the current energy needs of the world “100 times over”. After studying 28 years of data, the scientists found the “highest wind power densities over Japan and eastern China, the eastern coast of the United States, southern Australia, and north-eastern Africa,” according to Cristina Archer, of the California State University, Chico. Well, it actually returned the same website with something about Cairo and the use of recycled elements to act as solar water heaters and stuff, then I clicked on a link for the above entry. That was last night, the very last thing I did before getting off the computer and going to bed, after speaking with my daughter in New York taking care of herself and my grandbaby without any fan or air conditioner in the middle of a heat alert weather thing. Alternative energy power systems can be designed to fulfill a great number of functions, from interior and exterior lighting or dedicated water pumping to whole-house power systems. However, there are some household power needs that are simply not well suited to alternative energy power. The largest electric power loads in most households are the hot water heater, refrigerators and freezers, electric clothing dryers and ovens, and air conditioning. In general, anything that heats or freezes using electric power is not an efficient addition to an alternative energy system. While air conditioning isn’t as common in Alaska as it is in many southern climates, some homes and many RVs use traditional air conditioning systems. One energy efficient alternative to traditional air conditioning is an evaporative cooling system, often called a “swamp cooler.” Evaporative coolers are an excellent option for interior cooling in dry climates. A swamp cooler works by drawing air in through a vented surface of the cooler box, where it flows through a water saturated pad and is blown into the household or RV ventilation system. The heat in the air is used to evaporate water in the cooling pad, leaving the air much cooler and slightly more humid than when it entered the cooler. Swamp coolers are so much more efficient than traditional air conditioning because the only electrical draw in the cooling system is the circulating fan and a small circulating pump. They also avoid the environmental hazards of freon. Swamp coolers are available not only in household sizes, but also in portable 12 volt DC models ideal for cooling an RV cab while driving, or a sleeping area at night. However, a swamp cooler will be completely ineffective in a humid climate. If the incoming air is already saturated with humidity, no evaporation will occur, and warm wet air will be blown into the living area. Also, if the moisture in the cooling pads cannot evaporate, the pads themselves will begin to develop an unpleasant odor, which will also be blown into the living area. Of course the simplest way to cool without using an air conditioning system is to use window fans during hot summer months. When combined with exterior window shades, simply maintaining good air circulation through the house or RV can make a major difference in comfort level. It continues with a discussion of each high-energy-draw appliance including heating, refrigerators/freezers, clothes dryers, gas stoves and energy efficient appliances generally. Wait, I saw something else last night before I went to bed and closed up my computer about when and how air conditioners were created and invented in the first place. Let me find that. I thought that every city had programs to make fans and small air conditioners available to people who could not afford them, but maybe New York doesn’t do that, especially with the trillions of dollars in real estate there and Wall Street financial services. With that much money floating through the city, there probably is nothing but attitude, rather than kindness and mercy for people not eating $500 meals. An air conditioner (often referred to as AC) is a home appliance, system, or mechanism designed to dehumidify and extract heat from an area. The cooling is done using a simple refrigeration cycle. In construction, a complete system of heating, ventilation, and air conditioning is referred to as “HVAC“. Its purpose, in a building or an automobile, is to provide comfort during either hot or cold weather. In 1758, Benjamin Franklin and John Hadley, professor of chemistry at Cambridge University, conducted an experiment to explore the principle of evaporation as a means to rapidly cool an object. Franklin and Hadley confirmed that evaporation of highly volatile liquids such as alcohol and ether could be used to drive down the temperature of an object past the freezing point of water. They conducted their experiment with the bulb of a mercury thermometer as their object and with a bellows used to “quicken” the evaporation; they lowered the temperature of the thermometer bulb to 7&_160;°F (-14&_160;°C) while the ambient temperature was 65&_160;°F (18&_160;°C). Franklin noted that soon after they passed the freezing point of water (32°F) a thin film of ice formed on the surface of the thermometer’s bulb and that the ice mass was about a quarter inch thick when they stopped the experiment upon reaching 7&_160;°F (-14&_160;°C). Franklin concluded, “From this experiment, one may see the possibility of freezing a man to death on a warm summer’s day”. In 1820, British scientist and inventor Michael Faraday discovered that compressing and liquefying ammonia could chill air when the liquefied ammonia was allowed to evaporate. In 1842, Florida physician John Gorrie used compressor technology to create ice, which he used to cool air for his patients in his hospital in Apalachicola, Florida. He hoped eventually to use his ice-making machine to regulate the temperature of buildings. He even envisioned centralized air conditioning that could cool entire cities. Though his prototype leaked and performed irregularly, Gorrie was granted a patent in 1851 for his ice-making machine. His hopes for its success vanished soon afterward when his chief financial backer died; Gorrie did not get the money he needed to develop the machine. According to his biographer Vivian M. Sherlock, he blamed the “Ice King”, Frederic Tudor, for his failure, suspecting that Tudor had launched a smear campaign against his invention. Dr. Gorrie died impoverished in 1855 and the idea of air conditioning faded away for 50 years. Early commercial applications of air conditioning were manufactured to cool air for industrial processing rather than personal comfort. In 1902 the first modern electrical air conditioning was invented by Willis Haviland Carrier in Syracuse, New York. Designed to improve manufacturing process control in a printing plant, his invention controlled not only temperature but also humidity. The low heat and humidity were to help maintain consistent paper dimensions and ink alignment. Later Carrier’s technology was applied to increase productivity in the workplace, and The Carrier Air Conditioning Company of America was formed to meet rising demand. Over time air conditioning came to be used to improve comfort in homes and automobiles. Residential sales expanded dramatically in the 1950s. The inverter tag found on some air conditioners signifies the ability of the unit to continuously regulate its thermal transfer flow by altering the speed of the compressor in response to cooling demand. Traditional reverse-cycle air conditioners use a Compressor that is either working at maximum capacity or switched off in order to regulate the temperature of the room. A thermostat is used to measure the ambient air temperature and switch the compressor on when the ambient air temperature is too far from the desired temperature. An alternate way to meet the varying cooling demand is to have the ability to vary the capacity of the compressor or as its technically called “Modulate” the capacity. An air conditioner compressor has two components, a mechanical part – the actual compressor and the electrical part – the motor to drive the compressor. Either of the components can be used to “modulate” the capacity. In Digital Scroll compressors – the mechanical Scrolls of the compression mechanism is controlled to “modulate” and the electric motor runs at constant speed. The other method is to control the speed of the compressors by various means. Air conditioners bearing the inverter tag use a variable-frequency drive to control the speed of the motor and thus the compressor. The variable-frequency drive uses a rectifier to convert the incoming AC current to DC and then uses pulse-width modulation of the DC current within an inverter to produce AC current of a desired frequency. The AC current is used to drive a brushless motor or an induction motor. As the speed of a brushless motor is synchronized to the frequency of the AC current, it is thus possible to build a compressor that can be run at different speeds. Similarly, the voltage and frequency can be varied as needed to run an induction motor at different speeds. A microcontroller can then sample the current ambient air temperature and adjust the speed of the compressor appropriately. All this electronics of course does add to the complexity and comes at a cost, significant being the conversion losses from AC to DC and then back to AC which can be as high as 4 – 6 % for each conversion step. I’ve noticed that there are heat waves and the problems associated with high temperatures across the country, not only in New York, but Atlanta as well and certainly out in the Gulf Coast areas where cleanup is being done and in the overseas war theaters of Afghanistan and elsewhere. There seems to be a need for personal cooling systems that could be used on a person outdoors and inside cooling systems that are less expensive and could use alternative energy choices. There was an Australian neck bandana that provided cooling – what was that called? And, there are some clothing options which protect from the heat that I’ve seen used in desert races and for people who are allergic to the sunshine. But that still doesn’t answer the basic question about home and sleeping environments, especially those who can’t afford hundreds of dollars to buy a traditional air conditioner – nor have the money to fund running it once they have it. Back a few hundred years ago, there were systems built into homes and rooms that supported cooling which are no longer in use. These included high ceilings that took the hot air upside into the room, leaving the cooler air near the floor living areas and tall windows commonly across several walls where a cross-flow of air could be constructed simply by opening the right windows. Because I live on a top floor apartment/condo, and have an attic access – in the summertime, not only do I have the sun coming in to heat the living space – I can also open the attic stairs and allow the heat to move upside into the attic space, leaving the cool air down place in the living areas. I haven’t seen my daughter’s living space, but I’m guessing she has one or two front windows on one side and nothing else to remedy the air temperature. The other thing I’ve noted is that we all have severe air pollution coming from our cities and cars that infiltrate every system including air conditioning filters that are used in the systems now. To put hepa filters and finer filters on these systems, forces the compressor to struggle and hinders the air flow while still allowing much of the very fine material and submicron materials to move through the system and nearly all chemicals coming from the outside or inside environment to move freely through the system unabated. The same thing is happening with many of the face mask respirator systems in use out in the Gulf of Mexico and elsewhere for protection from chemicals and chemical fumes. These hinder the air flow and force the heart and lungs to pump harder to receive the air that is available going through the filters. It needs a group of very serious solutions that work. And homes, businesses, community facilities and commercial buildings no longer built to passively cool the occupants, not made for air flow, not built for comfort in and of themselves to help the systems added for air cooling, heating and safe high quality breathable air – need to be updated to accommodate these things. Yes, that is the real deal – I don’t know what the others are . . . This page offers choices based on activity – but I didn’t see the cooling bandana – the other things are right, though – especially those for extreme heat. Designed for extreme sport or heat, each garment works like a non-stop fan—scooping in air through carefully engineered mesh panels. Designed for improved comfort in summer heat and humidity and during sport or strenuous activity. okay so – which one? A coolant is a fluid which flows through a device to prevent its overheating, transferring the heat produced by the device to other devices that use or dissipate it. An ideal coolant has high thermal capacity, low viscosity, is low-cost, non-toxic, and chemically inert, neither causing nor promoting corrosion of the cooling system. Some applications also require the coolant to be an electrical insulator. While the term coolant is commonly used in automotive, residential and commercial temperature-control applications, in industrial processing, heat transfer fluid is one technical term more often used, in high temperature as well as low temperature manufacturing applications. The coolant can either keep its phase and stay liquid or gaseous, or can undergo a phase change, with the latent heat adding to the cooling efficiency. The latter, when used to achieve low temperatures, is more commonly known as refrigerant. Air is a common form of a coolant. Air cooling uses either convective airflow (passive cooling), or a forced circulation using fans. Hydrogen is used as a high-performance gaseous coolant. Its thermal conductivity is higher than of all gases, it has high specific heat capacity, and low density and therefore low viscosity, which is an advantage for rotary machines susceptible to windage losses. Hydrogen-cooled turbogenerators are currently the most common electrical generators in large power plants. Inert gases are frequently used as coolants in gas-cooled nuclear reactors. Helium is the most favored coolant due to its low tendency to absorb neutrons and become radioactive. Nitrogen and carbon dioxide are frequently used as well. Sulfur hexafluoride is used for cooling and insulating of some high-voltage power systems (circuit breakers, switches, some transformers, etc.). Steam can be used where high specific heat capacity is required in gaseous form and the corrosive properties of hot water are accounted for. The most common coolant is water. Its high heat capacity and low cost makes it a suitable heat-transfer medium. It is usually used with additives, like corrosion inhibitors and antifreezes. Antifreeze, a solution of a suitable organic chemical (most often ethylene glycol, diethylene glycol, or propylene glycol) in water, is used when the water-based coolant has to withstand temperatures below 0 °C, or when its boiling point has to be raised. Betaine is a similar coolant, with the exception that it is made from pure plant juice, and is therefore not toxic or difficult to dispose of ecologically. Very pure deionized water, due to its relatively low electrical conductivity, is used to cool some electrical equipment, often high-power transmitters and high-power vacuum tubes. Heavy water is used in some nuclear reactors; it also serves as a neutron moderator. Polyalkylene Glycol or PAG’s are used as high temperature, thermally stable heat transfer fluids exhibiting strong resistance to oxidation. Modern PAG’s can also be non-toxic and non-hazardous. Cutting fluid is a coolant that also serves as a lubricant for metal-shaping machine tools. Oils are used for applications where water is unsuitable. With higher boiling points than water, oils can be raised to considerably higher temperatures (above 100 degrees Celsius) without introducing high pressures within the container or loop system in question. Mineral oils serve as both coolants and lubricants in many mechanical gears. Castor oil is also used. Due to their high boiling points, mineral oils are used in portable electric radiator-style space heaters in residential applications, and in closed-loop systems for industrial process heating and cooling. Silicone oils are favored for their wide range of operating temperatures. However their high cost limits their applications. Fluorocarbon oils are used for the same reasons. Transformer oil is used for cooling and additional electric insulation of high-power electric transformers. Fuels are frequently used as coolants for engines. A cold fuel flows over some parts of the engine, absorbing its waste heat and being preheated before combustion. Kerosene and other jet fuels frequently serve in this role in aviation engines. Freons were frequently used for immersive cooling of e.g. electronics. Refrigerants are coolants used for reaching low temperatures by undergoing phase change between liquid and gas. Halomethanes were frequently used, most often R-12 and R-22, but due to environmental concerns are being phased out, often with liquified propane or other haloalkanes like R-134a. Anhydrous ammonia is frequently used in large commercial systems, and sulfur dioxide was used in early mechanical refrigerators. Carbon dioxide (R-744) is used as a working fluid in climate control systems for cars, residential air conditioning, commercial refrigeration, and vending machines. Heat pipes are a special application of refrigerants. Liquid fusible alloys can be used as coolants in applications where high temperature stability is required, e.g. some fast breeder nuclear reactors. Sodium or sodium-potassium alloy NaK are frequently used; in special cases lithium can be employed. Another liquid metal used as a coolant is lead, in e.g. lead cooled fast reactors, or a lead-bismuth alloy. Some early fast neutron reactors used mercury. For very high temperature applications, e.g. molten salt reactors or very high temperature reactors, molten salts can be used as coolants. One of the possible combinations is the mix of sodium fluoride and sodium tetrafluoroborate (NaF-NaBF4). Other choices are FLiBe and FLiNaK. Liquified gases are used as coolants for cryogenic applications, including cryo-electron microscopy, overclocking of computer processors, applications using superconductors, or extremely sensitive sensors and very low-noise amplifiers. Liquid nitrogen, which boils at about -196 °C (77K), is the most common and least expensive coolant in use. Liquid air is used to a lesser extent, due to its liquid oxygen content which makes it prone to cause fire or explosions when in contact with combustible materials (see oxyliquits). Lower temperatures can be reached using liquified neon which boils at about -246 °C. The lowest temperatures, used for the most powerful superconducting magnets, are reached using liquid helium. Liquid hydrogen at -250 to -265 °C can also be used as a coolant. In the Reaction Engines Scimitar and the Reaction Engines SABRE hypersonic aircraft engines liquid hydrogen is used as a coolant in the precooler to cool down the air in the intake. At Mach 5, the intake can reach as high as 1000 °C so a precooler is needed to avoid melting of the engine parts. Liquid hydrogen is also used both as a fuel and as a coolant to cool nozzles and combustion chambers of rocket engines. An emerging and new class of coolants are nanofluids which comprise of a carrier liquid, such as water, dispersed with tiny nano-scale particles known as nanoparticles. Purpose-designed nanoparticles of e.g. CuO, alumina, titanium dioxide, carbon nanotubes, silica, or metals (e.g. copper, or silver nanorods) dispersed into the carrier liquid the enhances the heat transfer capabilities of the resulting coolant compared to the carrier liquid alone. The enhancement can be theoretically as high as 350%. The experiments however did not prove so high thermal conductivity improvements, but found significant increase of the critical heat flux of the coolants. Some significant improvements are achievable; e.g. silver nanorods of 55±12 nm diameter and 12.8 µm average length at 0.5 vol.% increased the thermal conductivity of water by 68%, and 0.5 vol.% of silver nanorods increased thermal conductivity of ethylene glycol based coolant by 98%. Alumina nanoparticles at 0.1% can increase the critical heat flux of water by as much as 70%; the particles form rough porous surface on the cooled object, which encourages formation of new bubbles, and their hydrophilic nature then helps pushing them away, hindering the formation of the steam layer. In some applications, solid materials are used as coolants. The materials require high energy to vaporize; this energy is then carried away by the vaporized gases. This approach is common in spaceflight, for ablative atmospheric reentry shields and for cooling of rocket engine nozzles. The same approach is also used for fire protection of structures, where ablative coating is applied. Dry ice and water ice can be also used as coolants, when in direct contact with the structure being cooled. Sublimation of water ice was used for cooling the space suits of astronauts in the Project Apollo. There are 105 components in the system. Stopped a little while to hear President Obama and President Medvedev speak which was historic and absolutely wonderful. Now, let’s see how that goes at the G-20 this weekend as finalizing touches are added with the other participants. A number of fabrics and textiles in common use today need no further UV-blocking enhancement based on their inherent fiber structure, density of weave, and dye components – especially darker colors and indigo dyes. Good examples of these fabrics contain full percentages and/or blends of heavy weight natural fibers like cotton, linen and hemp or light-weight synthetics such as polyester, nylon, lycra and polypropylene. Natural or synthetic indigo dyed denim, twill weaves and canvas are also good examples. However, a significant disadvantage is the heat retention caused by heavier weight and darker colored fabrics. Sun protective clothing was originally popularized (but not exclusively used) in Australia as an option or adjunct to sunscreen lotions and sunblock creams. Sun protective clothing and UV protective fabrics in Australia now follow a lab-testing procedure regulated by a federal agency: ARPANSA. This standard was established in 1996 after work by Australian swimwear companies. The British standard was established in 1998. The NRPB (National Radiological Protection Board) forms the basis of the British Standards Institute standard. Using the Australian method as a model, the USA standard was formally established in 2001, and now employs a more stringent testing protocol: This method includes fabric longevity, abrasion/wear and washability. (To date, the focus for sun protection is swimwear, appropriate hats, shade devices and sunglasses for children.) UPF testing is now very widely used on clothing used for outdoor activities. The original UPF rating system was enhanced in the United States by the ASTM (American Standards and Testing Methods) Committee D13:65 at the behest of the U.S. Food and Drug Administration (FDA) to qualify and standardize the emerging sun protective clothing and textile industry. The UPF rating system may eventually be adopted by interested apparel and domestic textile/fabric manufacturers in the industry at large as a “value added” program strategic to complement consumer safety and consumer awareness. Stay cool on those hot summer days with Miracool heat relief products. Miracool products are ideal for construction workers or for anyone out in the heat. Whether your in the sun or working indoors, MiraCool helps you keep your cool. What is all the hype about MiraCool products? Find out at our Construction Gear Guru Blog. How do you keep cool at work during the warm months? Carry water, take a few breaks, or keep a hand held fan around? Those are great ideas, but there is an additional method of staying cool at work. 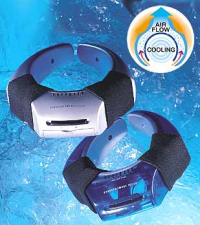 Personal cooling products by MiraCool. What are MiraCool products? They are a line of water-activated cooling accessories that can be worn anywhere – work, play, indoors or out. Encased within each stay cool product are super-absorbent polymer crystals. The crystals work by soaking them in water then remaining plump and hydrated for up two full days. MiraCool products work by the crystals retain the coolness of the water and work in combination with the evaporation process against the skin to keep you cool and comfortable. I am telling all of you MiraCool products are amazing! The selection of products offered includes cooling bandanas, hats, cooling vests, hard hat pads. All stay cool gear contains super-absorbent polymer crystals for fast cooling. MiraCool products are so easy to use without the need for refrigeration or ice. To make the product cold, simply place it in cold water for 10-20 minutes and off you go. Not only are MiraCool products are perfect for work, but for every activity in your life. They go everywhere you go that is hot including hanging out at the beach, playing sports, and doing yard work. Check out the complete selection of MiraCool products. Beat the heat and stay cool! When heat stress takes its toll on workers it not only affects their overall productivity, it affects their overall safety as well. This bandana incorporates MiraCool crystals which are securely encased inside the bandana. The crystals can hold up to 1000 times their weight in cool refreshing water. Simply soak in cold water for 10-20 minutes and these neck/body refreshing items will provide relief from the heat. Will stay hydrated for several days. The Techniche Phase Change Cooling Military Helmet Insert provides simple and effective heat stress relief. The reusable attachment affixes directly to underside of helmet. The Phase Change Cooling Insert maintains a comfortable 58 degress Farenheit. This uniquely designed cooling vest uses a combination of evaporative cooling material with our specially designed Military Phase Change Cooling Inserts for maximum cooling time. Designed to work with the Interceptor Outer Tactical Vest (OTV), the unique “Buddy Swap” design provides for easy changing of inserts in the field. The hybrid cooling solution offers ultimate relief: Evaporative Cooling fabric provides 5 – 10 hours of cooling relief per soaking and the Phase Change Cooling Inserts maintain a comfortable 58 degree Farenheit (14 degree C) for up to three hours. With 10,000’s of units in operational use it is a proven tool of the US Military. Available in M, L, XL, 2XL and includes one set of Phase Change Cooling Military Vest Inserts. Military Vest Insert Sets Product code HS3047. Originally designed for Black Hawk Helicopter Pilots, Cool Zones amazing controlled temperature technology keeps you cool and outperforms the competition in fit, form and function. Cool Zone is The original and patented controlled – temperature phase change technology. Tested and used by Law Enforcement, the Military, Fire and Rescue and Indutrial Work Sites all over the world. okey dokey – maybe better than frozen peas stuck under a shirt – but hmmmm…..
there must be some other choices besides clothing and heavy vests with little pouches in them of polymer crystals – although 58 degrees for three hours, not bad. Doesn’t look like anyone could sleep in it though and not very appropriate for little bitty kids under a year old. Maybe as a seat liner for a car chair possibly. Our patented Air Cooling Vest may be connected to any clean compressed air source and worn under protective clothing. It weighs only 11/2 lbs. Is durable and breathable. One size fits 130-225 lbs. Air Consumption: 5-15 cfm at 100 psi. The air vest is designed to afford cooling to personnel in circumstances where air conditioning is not feasible. The vest connects to any existing clean compressed air source. The patented engineered jets cool the air, keeping the wearer continuously doused with refrigerated air. The airflow enhances the body’s natural evaporative cooling. The airflow additionally keeps the grit, dust and fibers out, while keeping the wearer dry. • Nylon belt keeps vest secure. • Standard ¼” Snap Tite quick-disconnect coupler. • Standard size can fit body weight 130-250 lbs. This one (above) is nifty – but it is a “bring your own air compressor” system. Still, it is pretty nifty and rated for environments up to 120 degrees. And, its pricey too. Might as well buy an air conditioner and carry it around, although that wouldn’t look like a beige vest with its little black belt. hmmm……. A heat exchanger is a device built for efficient heat transfer from one medium to another. The media may be separated by a solid wall, so that they never mix, or they may be in direct contact. They are widely used in space heating, refrigeration, air conditioning, power plants, chemical plants, petrochemical plants, petroleum refineries, natural gas processing, and sewage treatment. One common example of a heat exchanger is the radiator in a car, in which the heat source, being a hot engine-cooling fluid, water, transfers heat to air flowing through the radiator (i.e. the heat transfer medium). There are two primary classifications of heat exchangers according to their flow arrangement. In parallel-flow heat exchangers, the two fluids enter the exchanger at the same end, and travel in parallel to one another to the other side. In counter-flow heat exchangers the fluids enter the exchanger from opposite ends. The counter current design is most efficient, in that it can transfer the most heat from the heat (transfer) medium. See countercurrent exchange. In a cross-flow heat exchanger, the fluids travel roughly perpendicular to one another through the exchanger. For efficiency, heat exchangers are designed to maximize the surface area of the wall between the two fluids, while minimizing resistance to fluid flow through the exchanger. The exchanger’s performance can also be affected by the addition of fins or corrugations in one or both directions, which increase surface area and may channel fluid flow or induce turbulence. The driving temperature across the heat transfer surface varies with position, but an appropriate mean temperature can be defined. In most simple systems this is the log mean temperature difference (LMTD). Sometimes direct knowledge of the LMTD is not available and the NTU method is used. Shell and tube heat exchangers consist of a series of tubes. One set of these tubes contains the fluid that must be either heated or cooled. The second fluid runs over the tubes that are being heated or cooled so that it can either provide the heat or absorb the heat required. A set of tubes is called the tube bundle and can be made up of several types of tubes: plain, longitudinally finned, etc. Shell and Tube heat exchangers are typically used for high pressure applications (with pressures greater than 30 bar and temperatures greater than 260°C). This is because the shell and tube heat exchangers are robust due to their shape. Tube diameter: Using a small tube diameter makes the heat exchanger both economical and compact. However, it is more likely for the heat exchanger to foul up faster and the small size makes mechanical cleaning of the fouling difficult. To prevail over the fouling and cleaning problems, larger tube diameters can be used. Thus to determine the tube diameter, the available space, cost and the fouling nature of the fluids must be considered. Tube length: heat exchangers are usually cheaper when they have a smaller shell diameter and a long tube length. Thus, typically there is an aim to make the heat exchanger as long as physically possible whilst not exceeding production capabilities. However, there are many limitations for this, including the space available at the site where it is going to be used and the need to ensure that there are tubes available in lengths that are twice the required length (so that the tubes can be withdrawn and replaced). Also, it has to be remembered that long, thin tubes are difficult to take out and replace. Tube pitch: when designing the tubes, it is practical to ensure that the tube pitch (i.e., the centre-centre distance of adjoining tubes) is not less than 1.25 times the tubes’ outside diameter. A larger tube pitch leads to a larger overall shell diameter which leads to a more expensive heat exchanger. Baffle Design: baffles are used in shell and tube heat exchangers to direct fluid across the tube bundle. They run perpendicularly to the shell and hold the bundle, preventing the tubes from sagging over a long length. They can also prevent the tubes from vibrating. The most common type of baffle is the segmental baffle. The semicircular segmental baffles are oriented at 180 degrees to the adjacent baffles forcing the fluid to flow upward and downwards between the tube bundle. Baffle spacing is of large thermodynamic concern when designing shell and tube heat exchangers. Baffles must be spaced with consideration for the conversion of pressure drop and heat transfer. For thermo economic optimization it is suggested that the baffles be spaced no closer than 20% of the shell’s inner diameter. Having baffles spaced too closely causes a greater pressure drop because of flow redirection. Consequently having the baffles spaced too far apart means that there may be cooler spots in the corners between baffles. It is also important to ensure the baffles are spaced close enough that the tubes do not sag. The other main type of baffle is the disc and donut baffle which consists of two concentric baffles, the outer wider baffle looks like a donut, whilst the inner baffle is shaped as a disk. This type of baffle forces the fluid to pass around each side of the disk then through the donut baffle generating a different type of fluid flow. Conceptual diagram of a plate and frame heat exchanger. Another type of heat exchanger is the plate heat exchanger. One is composed of multiple, thin, slightly-separated plates that have very large surface areas and fluid flow passages for heat transfer. This stacked-plate arrangement can be more effective, in a given space, than the shell and tube heat exchanger. Advances in gasket and brazing technology have made the plate-type heat exchanger increasingly practical. In HVAC applications, large heat exchangers of this type are called plate-and-frame; when used in open loops, these heat exchangers are normally of the gasketed type to allow periodic disassembly, cleaning, and inspection. There are many types of permanently-bonded plate heat exchangers, such as dip-brazed and vacuum-brazed plate varieties, and they are often specified for closed-loop applications such as refrigeration. Plate heat exchangers also differ in the types of plates that are used, and in the configurations of those plates. Some plates may be stamped with “chevron” or other patterns, where others may have machined fins and/or grooves. This type of heat exchanger uses “sandwiched” passages containing fins to increase the effectivity of the unit. The designs include crossflow and counterflow coupled with various fin configurations such as straight fins, offset fins and wavy fins. Plate and fin heat exchangers are usually made of aluminium alloys which provide higher heat transfer efficiency. The material enables the system to operate at a lower temperature and reduce the weight of the equipment. Plate and fin heat exchangers are mostly used for low temperature services such as natural gas, helium and oxygen liquefaction plants, air separation plants and transport industries such as motor and aircraft engines. 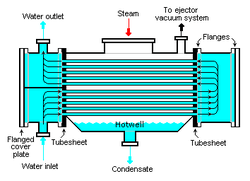 This is a heat exchanger with a gas passing upwards through a shower of fluid (often water), and the fluid is then taken elsewhere before being cooled. This is commonly used for cooling gases whilst also removing certain impurities, thus solving two problems at once. It is widely used in espresso machines as an energy-saving method of cooling super-heated water to be used in the extraction of espresso. Another type of heat exchanger is called “(dynamic) scraped surface heat exchanger“. This is mainly used for heating or cooling with high-viscosity products, crystallization processes, evaporation and high-fouling applications. Long running times are achieved due to the continuous scraping of the surface, thus avoiding fouling and achieving a sustainable heat transfer rate during the process. The formula used for this will be Q=A*U*LMTD, whereby Q= heat transfer rate. Power plants which have steam-driven turbines commonly use heat exchangers to boil water into steam. Heat exchangers or similar units for producing steam from water are often called boilers or steam generators. In the nuclear power plants called pressurized water reactors, special large heat exchangers which pass heat from the primary (reactor plant) system to the secondary (steam plant) system, producing steam from water in the process, are called steam generators. All fossil-fueled and nuclear power plants using steam-driven turbines have surface condensers to convert the exhaust steam from the turbines into condensate (water) for re-use. To conserve energy and cooling capacity in chemical and other plants, regenerative heat exchangers can be used to transfer heat from one stream that needs to be cooled to another stream that needs to be heated, such as distillate cooling and reboiler feed pre-heating. Such types of heat exchangers are used predominantly in air conditioning, humidification, water cooling and condensing plants. How does the shirt/poncho work? Cool Shirt® contains more than 45 feet of medical grade capillary tubing securely stitched on the front and back of the shirt. The Resposable Poncho is made from material containing a network of channels that the cooled water flows through. They are both connected to a compact cooling unit via insulated hose with quick, dry disconnects. The cooling unit contains ice, water and an internal pump that supplies cool water to the Cool Shirt® as it covers up to 40% of the body. How long will it keep the user cool? It depends on what type of ice is used (block, crushed or cubed). All of the systems will cool for a longer period of time if BLOCK ice is used rather than crushed or cubed ice. Using block ice, the systems will cool for about 6-7 hours. The system connects to any standard outlet via a UL-approved 110V Adaptor or can be connected to a 12V battery. How do you assemble the system for use? Attach the hoses to the cooling unit and the shirt to the hoses. Be sure the quick, dry disconnect fittings are fully seated by listening for an audible “click”. Add a gallon of water to the cooling unit. Add ice to the top of the cooler. The Cool Shirt® system is now ready for use. The system connects to any standard outlet via a UL-approved 110V Adaptor or to a 12V battery. How do you adjust the temperature of the shirt or poncho? The Temperature Controller is located on the insulated hose near the shirt/poncho. Simply adjust the roller on the controller to control flow and temperature on the shirt/poncho. How can I tell that the shirt is working? The shirt is designed to cool the user, not make them cold. The system is designed to maintain a comfortable temperature. As it is worn, the user can become very comfortable with the shirt or poncho and become unaware of the cooling it is actually providing. If unsure, the easiest way to see that it is working properly is to shut the system off. In less than two minutes, you will have the answer. The Cool Shirt® can be hand or machine-washed and hung to quickly drip-dry or can be dried in a dryer using a laundry bag. The Resposable Poncho can be washed in the same manner and hung to drip dry. It can withstand several washings before requiring replacement. However, it is not necessary to wash the poncho unless desired. Interior: With each use, add 2 ounces of Maintenance Additive (MA-16) in the cooling unit with the ice and water while the unit is being used. This will keep the pump, hoses and shirt lines clear of the buildup that occurs naturally in water-circulation systems. Wipe out cooling unit after each use. Exterior: When deemed necessary, wipe cooling unit, cart and hoses down with warm soapy water (preferably antibacterial). Maintain the outside of these parts just as you would maintain any other equipment used in your environment. How long does the cooling last? This depends on the size of users, the number of users connected to the system and the temperature settings. Expect many hours of use before adding ice. How are the Cool Shirt® and the Resposable Poncho stored? Hang the shirt or poncho on a large hanger. Coil the insulated hoses and store in the cooling unit or lay flat. Do not hang the hoses as this may damage them. Yes. The pump is double-insulated and is available as a 12 Volt system or with a UL-approved 110 adaptor. See specifications on adaptor. Made of 100% durable cotton with over 45 feet of soft resilient tubing, the shirt is machine washable…just put it with the rest of the uniforms. Our Cool Shirt (Cool Suit) Cool Air Systems are a favorite among those drivers that do not use a Cool Shirt®. Air from the car’s external intake is enhanced via a 135 or 235CFM blower and pushed thru the cooling unit, sending cooled, clean HEPA-4 filtered air to the driver’s helmet. The cooling unit is available in two sizes, depending on your needs: 24qt and a more compact 12qt fit smaller spaces. Helmet not included. Tripp Lite’s SRCOOL12K is a next-generation air conditioner designed for supplemental area cooling, emergency cooling and off-hour cooling applications. The SRCOOL12K uses environmentally friendly R410a refridgerant, which complies with EPA standards for 2010 and beyond, and is accepted worldwide. It contains zero, ozone depleting R22 refridgerant that has been banned by the EPS for new equipment manufactured after January 1, 2010. Depending on the humidity level in the room, collection tanks could require emptying several times per day. The SRCOOL12K has a built-in evaporator that expels the condensed water through the exhaust duct, so there is no need for a drain tube, drain pan or water collection tank. Efficient, compact, self-contained and portable, the 120V, 60 Hz SRCOOL12K is ideal for use in data centers, server and wiring closets, IT environments, home and small business offices, conference rooms, warehouses, entertainment centers or other venues with heat-sensitive equipment, particularly in areas that facility air conditioning can’t reach. The SRCOOL12K not only adjusts ambient room temperatures, but can also dehumidify and filter the air, providing better air quality for enhanced equipment performance with minimal noise and power consumption. Designed for quick, simple installation, the SRCOOL12K plugs into a standard 5-15R outlet with no adapter required. Both a standard louvered vent (for general room cooling) and a directional ducted cooling vent (to direct cold air where most needed) are provided. A directional exhaust duct safely removes hot air from the room. The SRCOOL12K meets the needs of the most demanding applications with 12,000 BTU of cooling power. A built-in timer enables the unit to be programmed for unattended startup and shutdown. Controls and displays are conveniently mounted on the top panel. An included window/drop ceiling kit provides multiple installation options. Supplemental cooling for confined areas where the facility HVAC is inadequate or doesn’t reach at all. Dropped ceiling or window heat ventilation kit. I really, really like this one. Too expensive but very nifty – need to get about five of them. This one looks pretty good but it is another $399.00 thing. The Chili Pad™ is a revolutionary heating and cooling system designed to regulate the surface temperature of your mattress so that you can achieve a perfect night’s sleep. Utilizing advanced semi-conductor technology, the Chili Pad™ allows you to control the temperature of your sleeping surface at the touch of a button. Designed to fit all standard and extra thick mattresses, this unique 200 thread count, poly/cotton mattress pad uses soft, medical grade silicon tubing filled with water to heat or cool the surface of the bed to your desired temperature of between 46 -118 degrees Fahrenheit. The Chili Pad™ is a versatile system that allows you to cool or heat your bed according to your individual preference. Unlike an electric blanket, which produces a magnetic field during usage, the ChiliPad™ system creates a safe, balanced temperature below, instead of above the body, without the use of electric coils. Instead of raising and lowering your thermostat and/or air conditioner throughout the night, the Chili Pad’s wireless remote can be instantly adjusted from your bed to save you money on your energy costs. Available in both single and dual climate zone models, the ChiliPad™ allows couples to adjust each side of the bed to their individual temperature preference. The technology utilized by the ChiliPad™ is similar to that of semiconductor technology designed to cool computers. Water constantly flowing in and out of a single connection point in the control system can be cooled or warmed in one degree increments to create a stable surface temperature. The ChiliPad™ fits all standard mattresses, just like an ordinary mattress pad, and the silicon tubes are removable for easy laundering and maintenance. The control unit, operates under 45 decibels, and conveniently fits under the bed. The ChiliPad’s wireless remote is easy to operate and initial set up is simple. The revolutionary, innovative Chili Pad™ is the ideal way to reduce your energy costs while increasing the quality of your sleep. Functions as a Personal Radiator to Absorb and Dissipate Body Heat Back Into the Air. Slip a cooling Chillow Plus® insert into your pillowcase to sleep soundly and comfortably all night long. Designed with SoothSoft technology, this versatile cooling device requires no refrigeration and functions as a personal radiator to absorb and dissipate your body heat back into the air while you sleep. 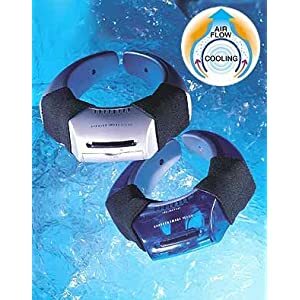 This safe, non-toxic product is activated by water to produce a dry and natural cooling effect that can be applied to a number of ailments, from headaches, to sunburns, hot flashes and night sweats . No more flipping your pillow on hot nights. The Chillow Plus® will keep working for hours, so you can sleep soundly without interruption. This one does say it offers cooling to bring the pillow to room temperature, so if the room temperature is 95 degrees or maybe even higher in the summer time without any air conditioning or fans, then probably that wouldn’t help very much, but I don’t know. These are interesting designs however. Micro heat exchangers, Micro-scale heat exchangers, or microstructured heat exchangers are heat exchangers in which (at least one) fluid flows in lateral confinements with typical dimensions below 1 mm. The most typical such confinement are microchannels, channels with a hydraulic diameter below 1 mm. Just like “conventional” or “macro scale” heat exchangers, micro heat exchangers have either one or two fluidic passages. In the case of one passage, heat is transferred to the fluid  from electrically powered heater cartridges, or removed from the fluid by electrically powered elements like Peltier chillers. In the case of two fluidic passages, micro heat exchangers are usually classified by the orientation of the fluid passages to another as “cross flow” or “counter flow” devices. If a chemical reaction is conducted inside a micro heat exchanger, the latter is also called a microreactor. 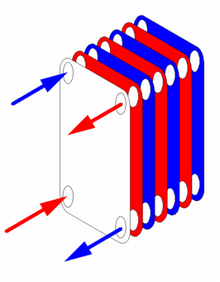 This page is about the thermoelectric effect as a physical phenomenon. For applications of the thermoelectric effect, see thermoelectric materials, thermoelectric generator, and thermoelectric cooling. The thermoelectric effect is the direct conversion of temperature differences to electric voltage and vice versa. A thermoelectric device creates a voltage when there is a different temperature on each side. Conversely when a voltage is applied to it, it creates a temperature difference (known as the Peltier effect). At atomic scale (specifically, charge carriers), an applied temperature gradient causes charged carriers in the material, whether they are electrons or electron holes, to diffuse from the hot side to the cold side, similar to a classical gas that expands when heated; hence, the thermally induced current. Traditionally, the term thermoelectric effect or thermoelectricity encompasses three separately identified effects, the Seebeck effect, the Peltier effect, and the Thomson effect. In many textbooks, thermoelectric effect may also be called the Peltier–Seebeck effect. This separation derives from the independent discoveries of French physicist Jean Charles Athanase Peltier and Estonian-German physicist Thomas Johann Seebeck. Joule heating, the heat that is generated whenever a voltage is applied across a resistive material, is somewhat related, though it is not generally termed a thermoelectric effect (and it is usually regarded as being a loss mechanism due to non-ideality in thermoelectric devices). The Peltier–Seebeck and Thomson effects can in principle be thermodynamically reversible, whereas Joule heating is not. So, okay – the icepacks are frozen, a fan is stuck in front of them, blows across them and then its all better. How about that? With a boxfan – that would be about $35.00. Hmmmmm…………. Okay – I’ll keep looking a bit. Personal Air ConditionerNever fight over the thermostat again. When you’re hot, just turn on this personal air cooling unit and cool your personal space. This portable air conditioner will be the only room air conditioner you need! Your Personal Air Conditioner points 1,000 BTUs directly at you while you work, sleep, watch TV, read, or relax. No need to vent. Just plug in and chill out. 23″H x 14″W x 9″D. Versatile, lightweight, and super efficient, this portable evaporative air cooler uses endothermic reaction to evaporate heat from the air. Lowers surrounding air up to 15-25°. 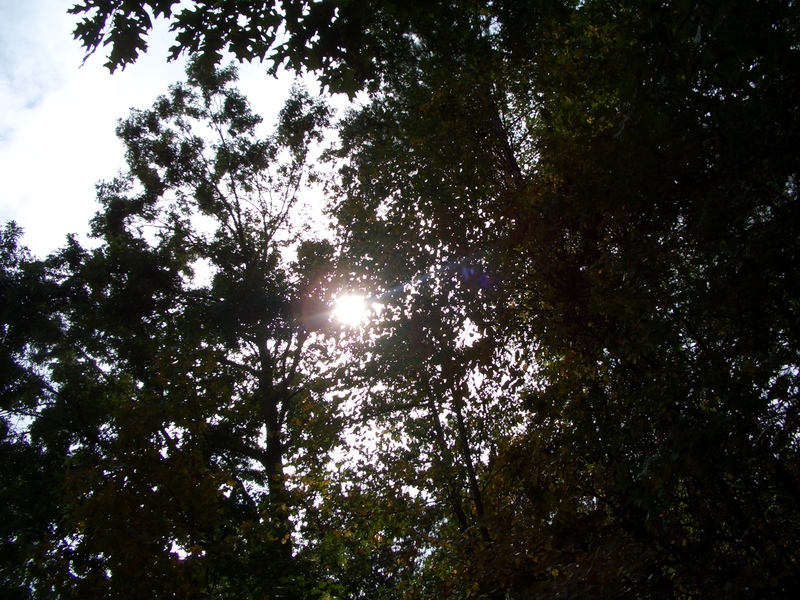 Like a cool breeze off of a body of water, natural evaporation cools without chemicals to harm the environment. This 60 watt cooler is economical, consuming hot air, not energy. Features three speed options, a timer, and sleep mode. Remote control and casters let you operate anywhere. 32″ tall. Don’t let its slim good looks fool you. This Remote Control Triple Cooling Zone Fan packs plenty of power. You can use one, two, or all three built-in fans, plus choose from three wind speeds and three wind modes. Features a built-in timer, oscillation option, and touch controls. 44″ tall. Well, those are from Sharper Image and range from $299 for the first one, $189 for the middle one and $99 for the third one. Hmmmm……. Well, keep looking – but I’m thinking of waterfalls and the way it is so cool wherever they are (standing at the bottom of the falls) – no matter what the air temperature in general, those places are so cool. And usually after it rains, the air is cooler – but not always. And hot, wet air is definitely not a good thing, unless it is intentional for a short period of time in a sauna specifically for that purpose. When it’s hot out, there’s nothing like getting squirted with some water or walking into a place with the AC on full blast. Whenever those sources of cooling aren’t available, you’re pretty much sore out of luck; well, unless you’ve got your Personal Cooling System handy! It looks a bit strange, and you’ll certainly get a few stares when wearing this thing out in public, but the benefits definitely outweigh the cons: a few hours of coolness. The cooler goes around your neck, almost like a necklace. The actual cooling is done by a patented miniature evaporation based cooling system. The quiet motor inside drives the tiny fan which, in turn, produces the end product, the coolness. After pouring a bit of water into the reservoir, the cooler provides you with up to four hours of relief. In case you need more time out of the cooler, a mini 2-oz water bottle is included for filling up on the go. The motor needs to get power from somewhere, and it’s not solar, so you’ll need one AA battery in the cooler in addition to the water. There are two styles of the Personal Cooling System, sleek silver and bizarrely blue which is see through! Living in a climate where the weather is constantly hot and humid can get pretty tiring, and having something like the Personal Cooling System around for hikes or other outdoor activities would be a good idea. The Personal Cooling System, version 3.0 at that, can be yours for only $30. I would look silly walking to Kroger a mile from here with a drum kit traipsing along so I could have a fan. I don’t know how daughter and granddaughter would feel about it. They’d probably like it just fine. It is very nifty. Cool Sport’s line of body cooling vests are designed to keep your body’s core temperature within safe levels during physical exertion within high-heat environments. We have four primary designs; the Cool Vest Lite, the Cool Vest Classic, the Cool Vest Deluxe and the Motor Sport Cool Vest. Each of these vest models have their own design for comfortable wear without any restriction of movement. With our new (phase change material technology) cooling packs, our vests maintain a comfortable, safe and constant 62º F temperature against the body. The Cooling Vests have been proven effective for up to 2.5 hours. Keep in mind that effectiveness is a variable of ambient temperatures, workload and physiology, so yours may vary. Unlike conventional ice and gel packs which take hours to freeze in a freezer, one of the most exciting features of the 62º F. phase change material technology Cool Packs are their ability to recharge in ice water within 20 minutes! The Cool Packs may also be recharged within a refrigerator or freezer and may be stored there without damage to the packs, until ready for use. You can keep a spare set of charged, individual Cool Packs on hand, in a portable cooler for quick and easy changeovers, with minimal downtime! CoolPacks are nontoxic as well as non-flammable. NOTE: Discontinue using cool pack and garment if the packs leak or are ruptured (call for replacements). Do not use the cool vest near sparks, hot objects or open flame without approved protective clothing over top. CoolSport is now capable (on a case-by-case basis) of offering (for all commercial, personal, medical and sports) customizing options for our line of cooling garments, including a wide assortment of colors, patterns (such as camouflage patterns) as well as flame and electrical arc resistant fabrics! Customized options may carry an additional charge. E-mail or fax CoolSport for more details and information. NEW! : See CoolSport’s newest additions to our line of cooling products — The Cooling Accessories page with the Head/Neck Band, Cool Pad and the Wheel Chair Cool Pad!